Hayley Atwell has a special place in the hearts of Marvel fans as she played the famous Agent Peggy Carter in Captain America: The First Avenger and was his lover in the movies. That opened the way for Agent Carter to have her own TV series on ABC along with Agents of S.H.I.E.L.D. broadcasted on the same network. During the second season of Agent Carter, it was announced by ABC that another TV series starring Hayley Atwell is in development. That was none other than Conviction, a legal drama inspired by true crimes. Hayley Atwell assured fans that, this would not be the end of Agent Carter, however, the series got cancelled when Conviction was picked up to be a series. Things seem to not go well for Hayley Atwell and ABC now that the second show they worked together also did not perform well. 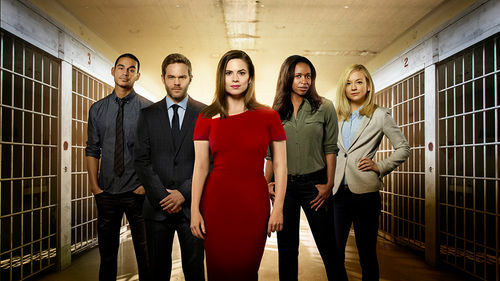 According to Deadline, Conviction was not renewed beyond its 13th episode. The series have 8 episodes left in its first season which will be aired no matter what. Since the first season was not picked up for a full season, the show is probably gone but still, ABC has the option for the sophomore season and the cast for now. This show is fantastic! I can’t believe they’re thinking about cancellation. So many great shows are canceled after only one season. Recently, Stalker and Eye Candy. Also, Freaks and Geeks. Not to mention all of the shows that end on a cliffhanger and I for one need closure. Please vote for Conviction in the People’s Choice Awards 2017. It is a good show indeed but Hayley Atwell has such bad luck Viktoriya, fingers crossed.